The Silver Shingle's photo metal home accessories are unique handmade products. 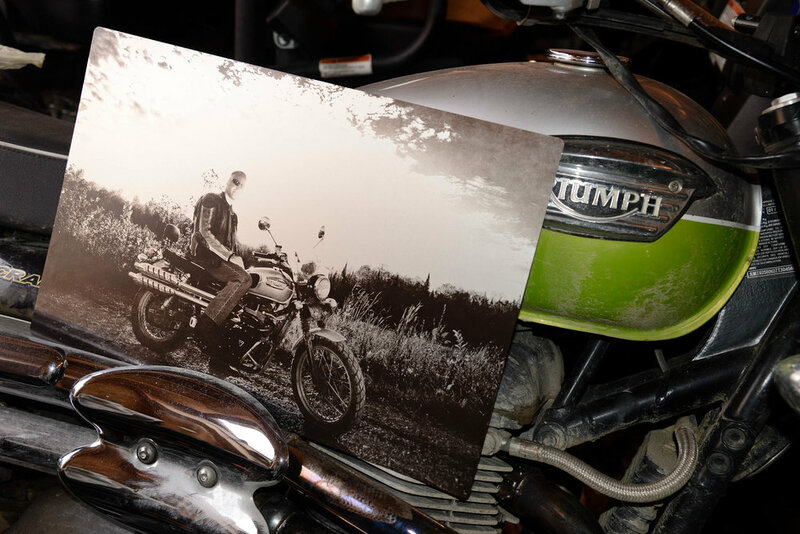 We create heirloom, black and white photo products on metal. Whether adorning your Christmas tree, giving a unique gift, or reproducing a photo with a vintage-vibe, our customers seek products with a distinct appeal and high-end quality, …and perhaps locally-made too (although we can ship). Custom photo metal products are beautiful, can be functional, and fit into any home design | furnishings from a modern condo, industrial garage, to farmhouse-style home. Ready-made products are available too. You seek creative, quality products for your precious photographic memories! You appreciate a technology that is different from other similar applications in appearance and technique! Vintage-vibe items reminiscent of the old tintype photography. 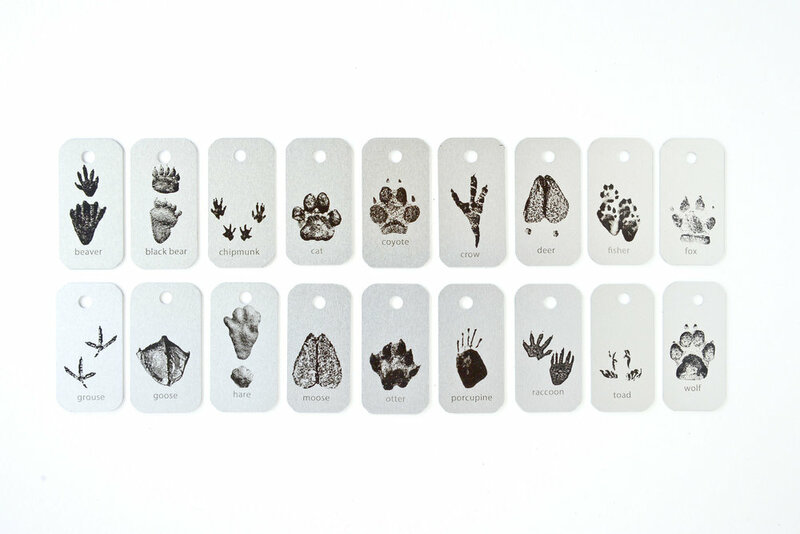 Preserving memories in metal makes a unique heirloom. 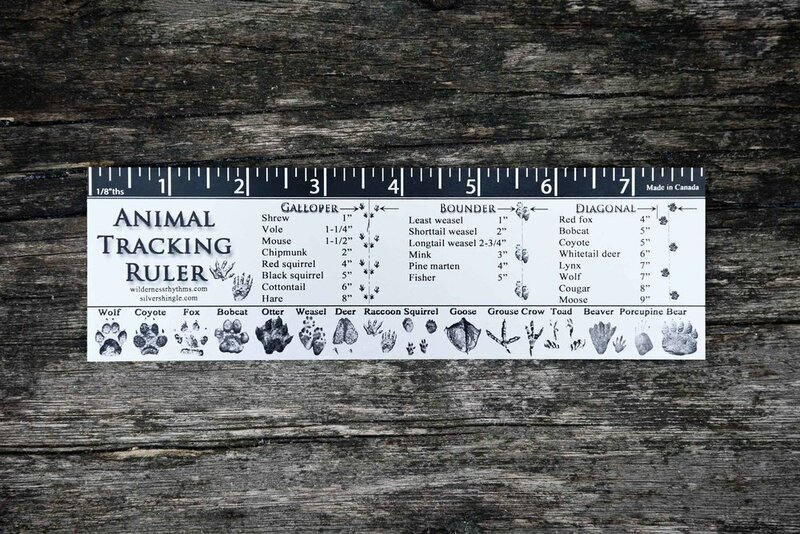 The one-and-only Tracking Ruler. Impress your friends with tracking knowledge or grab it when walking the dog! We are truly impressed with The Silver Shingle’s customized work, capturing timeless memories in a very unique manner. This is the second piece we have purchased, and have no doubt we’ll be using The Silver Shingle for many more family memories’ projects. Thank you so much. Let's work together to create your custom photo heirlooms on metal. I have a custom order!